How long should a 'friends with benefits' relationship last? Is the a Drop Dead Time on Friends With Benefits? 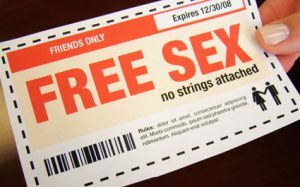 Should there be an expiration date to friends with benefits? Well that depends not on the friends with benefits, that depends on what you want. The guideline I follow is whether it’s honoring and expansive for both people. Some people just aren’t at a time in their life where they want a long term monogamous relationship. They are focused on work for example and enjoy hooking up with someone they know will be a great experience yet have no intention of taking it more seriously than that. I have no problem with that so long as both people are honest about the deal, about sexual safety etc. However if what you really want is a long term relationship and you’re just doing friends with benefits to tie you over until you meet someone… have you communicated that? Are both people honored by being on the same page? Is it clear that when someone else moves on that the benefits will end? Is someone really hoping friends with benefits turns into exclusive dating with this person one day? Assume nothing! Talk about everything! When there’s a clear deal, there’s smooth sailing. The last thing I’ll mention is that everything is energy. 211 degrees? No boiling. 212 degrees? State change. New reality. I have no judgment whatsoever about friends with benefits AND I’ve notice with clients over the past 17 years that when they REALLY MAKE A DEMAND TO THE UNIVERSE, that the Universe listens. So if you say, Hey I’d like a relationship but I really don’t want it THAT bad cuz this friend with benefits will suffice… the Universe says OK. Yet if you say, NO, I’m having it all, and I’m doing whatever it takes to have it, putting myself 100% on the court, I’m having this! Then the Universe perks up as if to say, Wow, we have a Live one here…someone truly committed, OK then, here ya go.